Accept credit cards on your iPhone, Android or iPad. Send invoices free with Square Invoices. Signing up for Square is fast and free, and there are no commitments or long-term contracts like with alternative services. 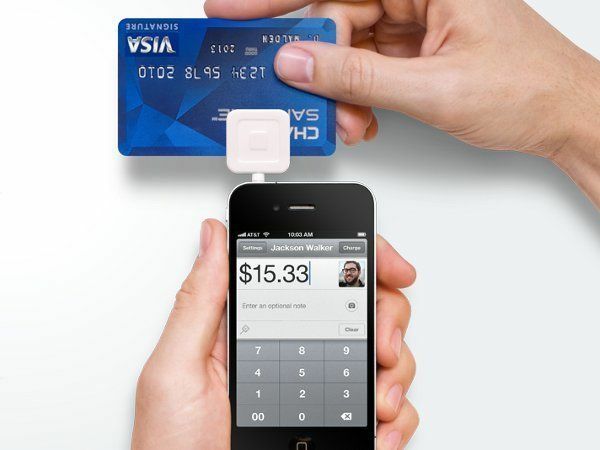 Square which is best known for its payment software will acquire Weebly for $365 million. 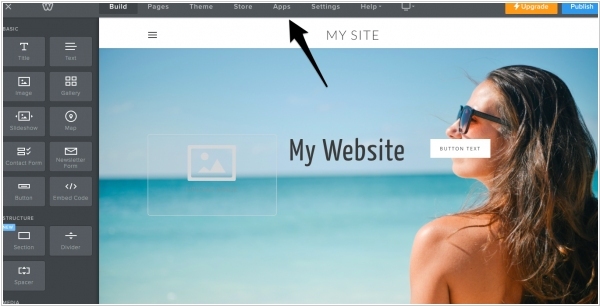 Weebly offers easy-to-use website-building tools and is focused on serving small businesses and e-commerce companies. The company raised $35.7 million in funding Square says that by acquiring Weebly, it can create “one cohesive solution” for entrepreneurs looking to build an online and offline business. And because 40 percent of Weebly’s 625,000 paid subscribers are outside the U.S., the deal will help Square expand globally. Square is launching a new Square Retail app that complements a comprehensive backend package of tools that include complete coverage of inventory management, customer relationship management and employee tools. The new offering is designed to really provide a next-level retail solution for merchants and shop owners who need more than just the Square Reader and basic square mobile app. The solution can scale depending on the needs of their clients, but can serve any customers from a one-location shop to a merchant with multiple storefronts and lots of inventory to track. For now the primary type of retailer Square is targeting with this product are those in the “finished goods” business, which means people who have packaged products or things like shirts and clothing that have barcodes, as well as things like wine or games. 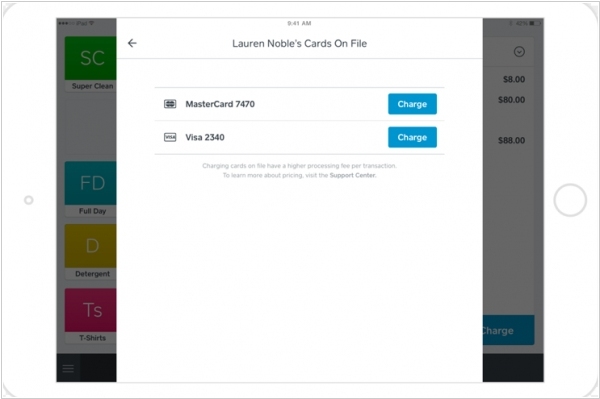 Mobile payment processing service Square launched a new feature called Card on File that allows to charge recurring customers without card swiping (and even without asking for the card). It's also suitable for customers, because they can come to your shop or restaurant without card and money, take what they want and go away. And you quietly charge the appropriate amount from the card. Of course, first these customers have to opt in and enter their card data to your company's Square account. Besides, using Card on File businesses can charge remote customers without internet payment. But this feature is a little more expensive for business: it will cost you 3.5% plus 15 cents, compared to the 2.75% commission for swiping a card. 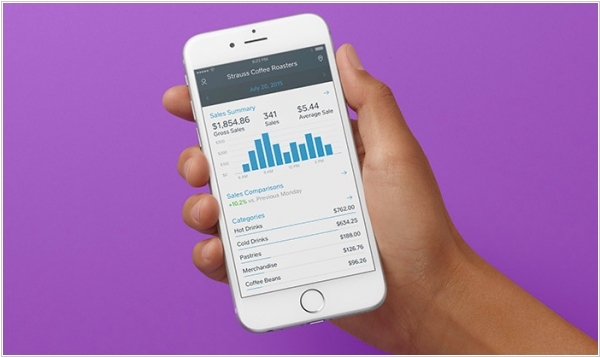 Mobile payment processing service Square has released its second non-consumer app, a dashboard app for iOS that lets business owners track sales in real-time and allows them to dig into the health of their business with analytics. This app isn’t for the barista at the coffee shop, but it was built for the owner who might be watching over things while they’re not at the shop. With this app, business owners can track how many items are left in stock in multiple locations, for example, which can help them make important decisions on the fly without having to sit down at a computer. Mobile payment startup Square has launched Square Payroll, software for businesses to pay and track taxes and other costs for both hourly and salaried employees. The product is priced at $20 per month, with $5 per employee on top of that. 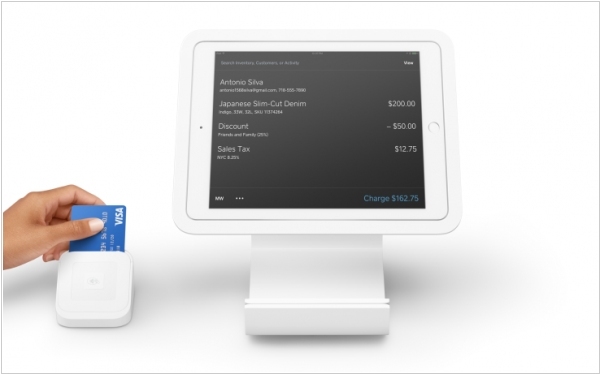 In terms of payroll software, Square is positioning itself — at least for now — as a fairly simple product. It includes timecards, taxes, and the ability to track and pay both salaried and hourly workers, and its price is all-in. Square Payroll is entering a pretty crowded market, competing against the likes of Intuit’s Quick Books, ADP, Paychex and others. A few, like Wave Accounting, offer some but not all the same features: Wave, for example, doesn’t handle tax payments or tax filings — they estimated tax liabilities. It is also less expensive. It starts with two base tiers of $10 and $15 plus $4 per each employee.